Over the past 12-months Spurs have persuaded England captain Kane, Dele Alli, and boss Mauricio Pochettino to sign new long-term deals. 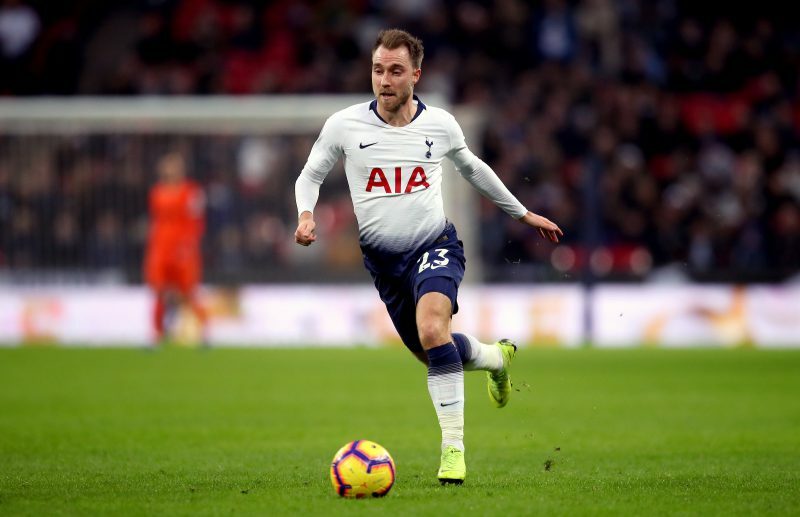 Now they have re-opened talks with Eriksen about his future, as he has just over 12-months left on his current deal. Spurs chairman Daniel Levy is now making one last big push to persuade the Danish star to commit to the club, or they will look at selling 27-year-old this summer. Spurs hope the deal worth a basic £150,000-a-week, the same as Kane, will be enough for him to sign – although Eriksen knows he can get bigger money elsewhere. Manchester United, Real Madrid, Bayern Munich and Paris Saint Germain are all showing a keen interest in the Dane – who would cost around £100million if he does leave Spurs. United are considered favourites with the Bookmakers to land Eriksen, should he leave, with PaddyPower making them 7/2 to seal the signing of the Dane. Odds accurate; 15/04/2019 12:00 am.